Hey, you look like a confident and fashionable person looking for only the best in luxury and style. 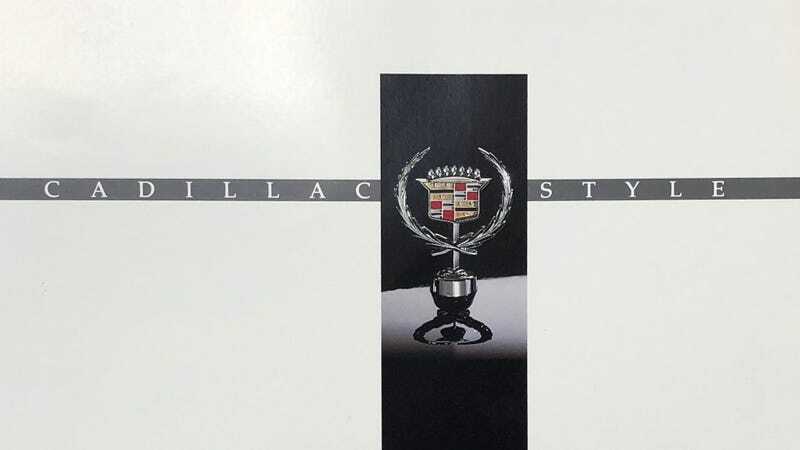 Have you taken a look at Cadillac lately? Now, you may be thinking that Cadillac is an old persons’ kind of stylish. Well, take a look at the newest lineup for 1990. It’ll have you wanting to show off your Cadillac Style the second you see it. In addition to being the most chic and luxurious cars on the market, Cadillacs are safe too. We follow every government regulation because we are required to by law. Those liars over at Lincoln make death traps and you should never trust them. In a Cadillac, you’ll be safe. I see you’ve taken interest in the Allante, that’s our ultra-luxurious roadster that’s made in Italy by Pininfarina! That’s cost prohibitive you say? Well don’t even look in the direction of the Chrysler TC by Maserati or whatever they’re calling it or we will have you removed from the dealership. Anyway, every Allante is equipped with only the most state of the art CD player so you can be listening to your Bruce Springsteen albums in no time. You want something a little more understated? I got just the thing for you, check out the Cadillac Coupe De Ville, it has the same sleek two-door look as a roadster but you can also fit six people inside. That doesn’t violate any safety laws that I’m aware of. I’m not your dad, I’m not gonna tell you what to do. The De Ville is available with Garnet Prima Vera cloth because you deserve to emulate the Cadillac Style wherever you go. I get it, you want something with a little more presence. How about the Cadillac Brougham? At over 18 feet long, the Brougham is the longest production vehicle currently produced in America. Anti-lock brakes are standard on this behemoth so you stop at least somewhere close to when you want to. You and your six passengers will be the most comfortable commuters this side of a third world dictator. That’s the Cadillac Style.